For anyone who knows me, or follows my social media accounts, you may have heard me mention how it came to be that I finally got around to redoing my website. I had surgery that required me to be in bed recovering for about 2 weeks, finally "gifting" me the time to take on the task. However, there was more behind what called me to do it rather than just the extra time I had on my hands. Like many people I have a lot of things on my virtual to do list, more fun projects I could have chosen, including an ongoing movie watching list that seems to have grown exponentially in the past few years. Redoing my website was something that was put on my heart to go to the top of the priority list while recovering and I felt called to share the story behind it and how my business got to the point it's at today. Like all good stories, this one has a lot of back story that I need to start with so this all makes sense to you. So hang in there with me, because I promise even though it's long, it's really good. This one starts a few years ago (2016 to be exact), on a random Wednesday afternoon in April. I remember it so vividly, which is amazing because I have a HORRIBLE memory. A friend of mine had told me about a women's event her church held regularly and had encouraged me to come to an upcoming one. Initially my schedule didn't allow for me to attend, but I remember the stirring in me over and over to try and go if I could. Then as only God can do, the day began to unfold and all of those commitments I had got canceled 1 by 1. My day opened up to allow for me to go, so I texted my friend, told her I would be there and off I went. I had zero expectations for what this was, and in fact, I thought it was a small group bible study type gathering so I packed a tote bag with my bible, a notepad and a pen and was ready to make some new friends. I was completely surprised to walk into a room filled with hundreds of women, tables set for large groups, lunches for purchase and a huge stage set for a guest speaker, Lynette Lewis, who had flown in from NYC just for that day to speak to these women. Through it all I was just going with the flow and so excited for whatever was going to happen while there. As she told her story I was in awe, her journey was amazing, her faith inspiring and I was on the edge of my seat hanging on every word. Then about halfway into it as she continued on, her story sounded familiar to me. Which didn't make any sense to me because before today I had never heard of her. As she went on I found myself knowing exactly what she was about to say next, and chills ran down my spine when I realized how I knew it. The very night before, as I was lying in bed I was scrolling through Facebook when a random article came through on Good Houskeeping Magazine's page. Before I knew it was clicking on it and reading the story of a random stranger who married the love of her life, knowing that he was dying from cancer and not knowing how much time she had to be his bride. The story was 2 years old, about people I didn't know, but I found myself in bed, tears streaming down my face reading their story. Half way through her speech I realized that this women on stage, was that boy's mother, telling the same story I had just read about, and I became hysterical. Like, zero control of my emotions, tears streaming down my face, BEYOND embarrassed because I literally couldn't stop myself in front of a table of women I didn't know. I didn't know how, or why, but God was using this moment to speak to me and I was so overcome with fear, joy, and total amazement that I couldn't help myself. It was the first time it was so loud and clear that God was talking to me and it was an experience like no other that can't even be explained until it happens to you. I wasn't walking through a dark season like the one in that story I read about, and that part of her speech wasn't the message. It was like God was saying, hey, I'm going to have this woman give you a message in a minute, and you need to listen, and take it seriously that it's Me talking to you. You can trust that it's Me, because only I could make this coincidence happen so listen up. So I listened, and she moved onto give a message about dreaming with God, how our desires are the seeds of our dreams, and God puts desires on our hearts to live out what He wants us to do. How we shouldn't believe the "lies of logic that I'm unqualified, or who am I to think I could do this?" To just move forward, not focusing on how and you'll get there, but trusting God. As she spoke, those goose bumps came back again. The message she gave about hearing the lies, how our dreams sound dumb to us, how we feel unqualified, and we think they are insignificant were words I had just spoken out loud days prior. My Etsy shop where I sell my wall art had been in business for years, with very little success. I had such high hopes and dreams of my artwork being super successful. I saw shops with similar products and the same talent level as me thriving. Hundreds upon thousands of sales, thriving. I kept hearing the doubts telling me, you clearly aren't good enough. No one likes your artwork, it's time to give up and close down shop. So as she spoke those same words I had just uttered, I knew God was telling me to keep going. Even after God had given me this amazing moment, where he was so CLEARLY telling me that my dream isn't dumb, and to keep going, I still doubted. I kept thinking why on EARTH would God care about something so small. My silly artwork? I'm not curing cancer, or changing lives, it's just art for people's walls. But I pushed on. I met with more people, I held art parties, and pop up shops, and sold more work. I kept photographing, creating more content and expanding my portfolio. It felt so good, to be justified and encouraged. But then, it all dropped off again. An order here, and order there, but that momentum and excitement seemed to be gone. I thought to myself, well that was interesting. Why on earth did God go through all of that for just a years worth of progress? Doubts came back, the Devil crept in my mind and those same thoughts reared their ugly head. "There's no way you heard God right. That message wasn't about your ART. You're insane. Just quit." 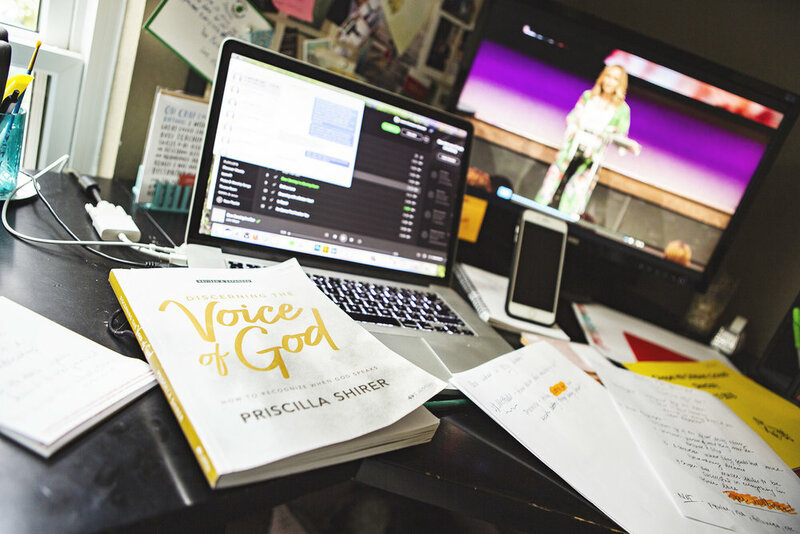 Around that time I was doing the bible study, Discerning The Voice of God, by Priscilla Shirer. It's an AMAZING study about how to recognize when God is speaking to you and how to quiet the noise in your own head so you can hear His message. It was filled with amazing wisdom and as per usual, God spoke to me through it all. The stirring came back to me and I kept agonizing about whether I heard God's message correctly and if that day in 2016 was about my art or not. In flipping back through some old prayer notes I found a purple post it note I had written on that read, "re-watch Lynette Lewis video to see if it was about art." Well I'm a woman of action, and I felt that I needed to figure this nonsense out, so I took to the internet. I googled to see if I could find that video uploaded somewhere. To my surprise, I found a video of Lynette speaking to Milestone Church, but it wasn't the one from 2016, it was a new one. She had just come back in town for the same women's group to give a follow up speech just a few weeks prior. I stopped in my tracks, looked up to God and said "ok now you're just showing off." Of course I watched it, and just as only God can do, sister picked up where she left off delivering His message of perseverance. This time her message was about being fruitful, offering what you have to God and methods on how to keep going. 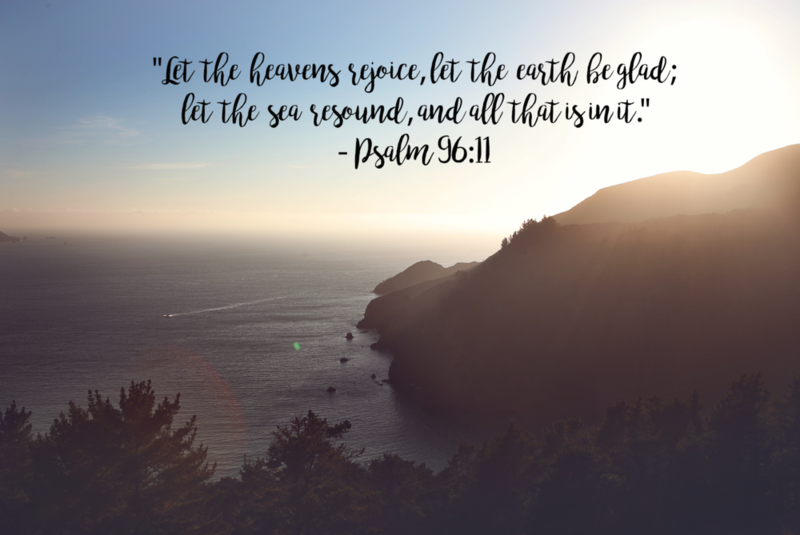 After thinking about it longer, and praying on it, it came to me that I needed to add scripture to my work, either the art prints or through the keepsake boxes that I made. In the Voice of God study there was concrete practical wisdom for steps you need to take in order to understand if you are hearing God right. She calls them the "Five M's of Correctly Hearing God." So I went through the steps, and wrote down on a piece of paper specifically for God to please help me discern His voice. I asked if I heard him correctly, and if this was all about my artwork and adding bible verses to my photography. I asked for external evidence that it was His plan and not my own selfish desires and to guide my heart on what He wanted me to do. Within a few hours, I got an email from my brother, Greg. We had spoken briefly on the phone the night before and without telling him about the study or my idea about the scripture art I casually mentioned I was working through something and trying to figure out how on earth God could be speaking to me about using my photography to honor Him. In His email, he told me he had an idea about using my photography along with scripture to create biblical art that would glorify God. YOU. GUYS. It NEVER gets old. I called Greg to tell him, we geeked out together about how amazing God is, and I got to work making designs and adding them to the shop. That bible study gave me an exorbitant amount of advice, wisdom and clarity. In those 7 weeks I grew closer to God, and began to understand what this was all about. With each passing message from Him, and step I took, my posture towards the outcome and what I "expected" to come from my artwork shifted. It was no longer about hundreds of sales, or huge success, it was about doing it because He asked me to. I heard Him say that His will was to bring blessings and hope to people and even if it was only a handful of people each of those instances were for Him and His glory. That was enough for me. That study guide was filled with notes, highlighted scripture, ideas for products, prayers and more. It renewed my spirit and drive for my work and sparked a fire in me that grew ablaze. Sales continued to trickle in slowwwlllllyyyy and in very small doses but I knew each and every one was blessing someone in the way God wanted and that's all that mattered. While all of that was going on we had major life changes happening at the same time. Illnesses, death, heart ache and blessings abounding. As a family we grew stronger in our faith, my husband and I were stronger in our marriage, and we enrolled our kids in a Christian school. God was working in me and through me and I loved every minute of it. With all of the changes (mostly the newly added tuition we didn't have in the budget), God remained faithful. We enrolled them on a wing and a prayer that He would find a way to provide no matter what that looked like. 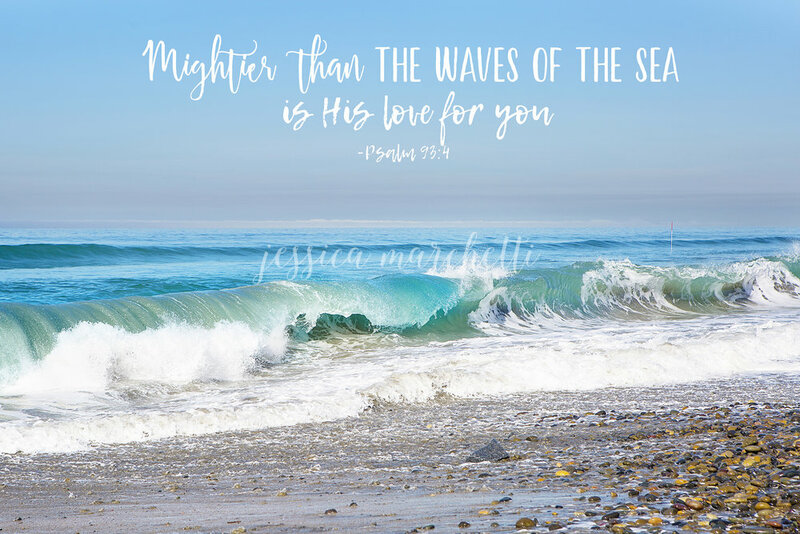 In the following months my free lance photography and web work grew and grew, along with some fun custom scripture based orders that I LOVED designing. Every time a bill would come or a tuition payment was due, I would book a client or someone would place an order that covered that bill. It has been truly miraculous and humbling and not a single blessing has come that I haven't gotten on my knees and thanked God for. Around the time that all of that work piled up, my personal website that showcased all of my products and services broke. The template that I used to build it years prior was no longer being supported (because they wanted you to pay $350 to upgrade to their NEW one!) and my site was a hot mess. People would log on to see examples of my work and every time I would cringe knowing that it wasn't a proper representation of what I offered. The thought of building a new website was daunting and that's when that silly old self doubt set back in. What on earth was I doing? Is this God's way of telling me it was time to stop? Had I fulfilled His purpose and this broken down tired mess of a website is His way of saying I'm finished? I was tired, and missed having fun with friends during the day, and playing with my kids, and woe is me (cue the violins please). Can you take a WILD guess as to what happened next? Enter the next bible study on Proverbs coming in to speak Truth into me. I swear I can see God rolling His eyes at me in Heaven going, "Seriously Jessica? Do I have to continue to reiterate what I want you to do? KEEP GOING GIRL." Oh Proverbs. You are seriously so wise. And humbling, and convicting. Right in the middle of my pity party about what I wanted to do (quit it all and live the life of leisure), I got a fun wake up call from King Soloman. "The craving of a sluggard will be the death of him, because his hands refuse to work. All day long he craves for more, but the righteous give without sparing." - Proverbs 21:25-26. Sheesh. Lots of humbling verses about being a sluggard (lazy bones), and lessons on how you choose to spend your days. "God provides a thoughtful model: persevere in hard work, pinpoint our role, prepare through each season and look to God for direction." Throughout that study He kept putting it on my heart to keep going and to take the time to build a new website that would better glorify Him and what he wants me to do. It wasn't but days later I found out I had some medical issues that required surgery and would be accompanied by about 2 weeks of forced down time. All I could do was smile, and be thankful for the gift of time and get to work. I know, that's a REALLY long way of saying my website broke so I built a new one. But just like everything else, it was a stirring in my heart to share this amazing testimony and a little back story on my products. Just so you know, as per usual I agonized over writing this post for weeks. I questioned what I would say, how I would even begin, and whether or not I could even do the story justice or just ramble. But keeping things like this to yourself is like holding the key to happiness in your hands and keeping it all for yourself. I never knew how amazing life could really be until I surrendered it all and relied solely on God for everything. I used to lean on Him for some things and think I could take care of the rest myself, but that’s not FULLY living for Him. It’s also not easy. The more you draw near to Him, the more loudly you begin to hear Him speak to you and realize all of the amazing blessings in your life, both big and small.